Hello from Cebu! 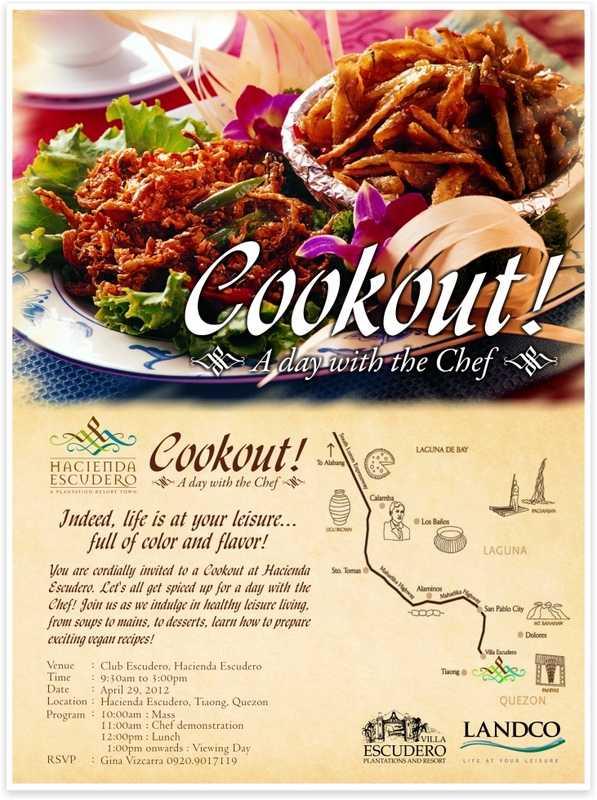 Am currently here to conduct an Earth-day cooking workshop happening tomorrow at Maribago Bluewater Resort. Just wanted to report to the interwebz that I’ll be conducting another vegan workshop in Tiaong, Quezon next Sunday the 29th at Hacienda Escudero. If you’re in the area or if you’d like to spend a leisurely Sunday out of Manila, definitely come! Check out the poster below.